“Anyway, he made the trip and as he approaches he is in disbelief, commenting that it really does look like him… The way he calls him and the reaction of the dog speak for themselves.” There’s so much love and tenderness in that final shot. I’m so happy they found each other again. They must be so relieved to be back together once more. 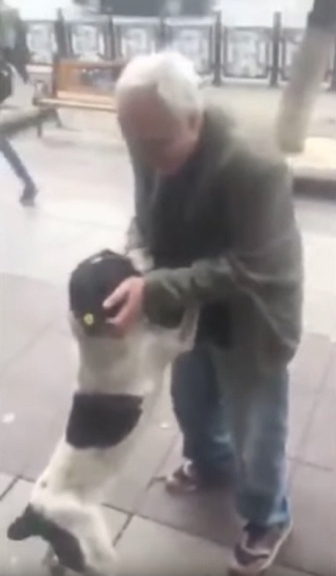 Responses to "Man Finds His Dog On The Street Three Years After Losing Him"